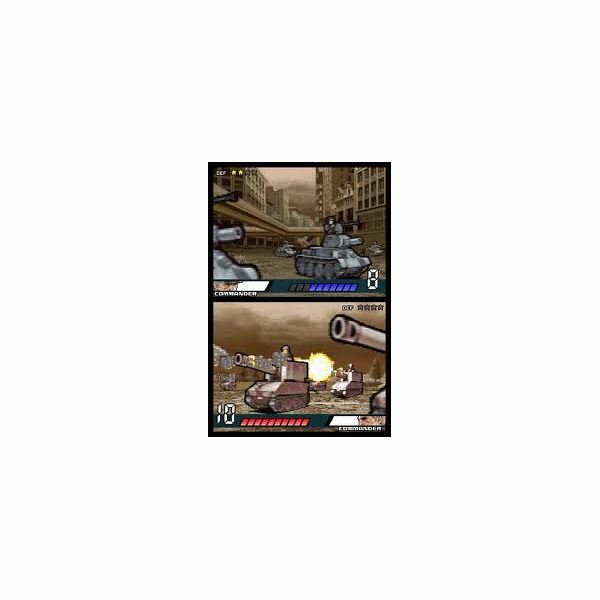 Turn-based strategy has been one of the most popular genres for the Nintendo DS platform. It has become an integral part of combat mechanics in most RPGs developed for the DS. There are also some great Nintendo DS strategy games with turn-based combat tactics combined with resource management and unit recruitment. A few real-time strategy games for the Nintendo DS have made it to the list of strategy games and here we will take a look at both genres that have wowed the gaming audience with their depth in gameplay, plot and some good strategy. A strategy RPG game, Drone Tactics is all about controlling insect mech warriors to defeat several enemies in a battle map. It puts you into the shoes of kids who are transported to another dimension where they will have to battle robot bugs against enemies. While the game has some dull and lengthy dialogues and cut-scenes in-between battles and exploration, it is the solid tactical battles that make this game interesting and enjoyable at the same time. The giant robot insects in this game have hundreds of customizable weapons that can be upgraded throughout the story mode. 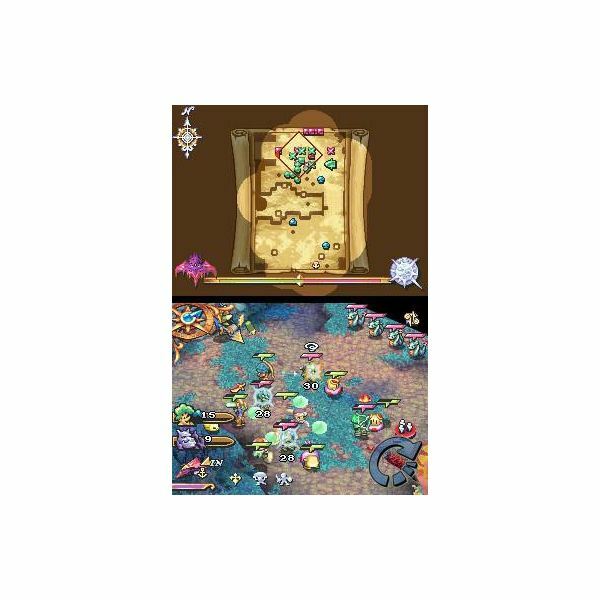 The game also features numerous maps that compel players to plan their attack and upgrade beforehand. The strategy in this game is all about choosing the right command to dodge, defend against or attack enemies. The game also throws in battle cards that can be used in-battle and possess attack and defense powers. The insect-like mech units, together with a nifty card battle system and several strategic options minus the boring dialogues makes the game perfect for kids and teens. You may have played Age of Mythology on PC, but Mythologies for Nintendo DS is a turn-based strategy game and not an RTS. 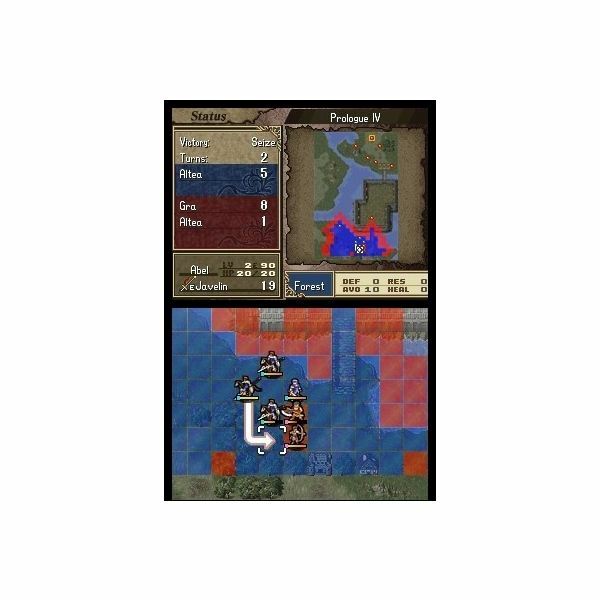 The gameplay mechanics of Age of Empires: Mythologies is similar to Advance Wars, You and your opponents take turns in building bases and units and attack or capture a building. When in combat, a mini cut-scene is displayed at the top screen, which shows a brief animated combat between factions. In Age of Empires: Mythologies, you can choose one out of any three ancient civilizations: Norse, Greeks and Egyptians. The game’s mythos is similar to Age of Mythology for PC, each with their own set of Gods and powers. You can summon the God powers to wreak havoc on your opponents. The game lets you build and recruit three units Hero, Myth and human, of which Myth and Hero are characters from the civilizations legends and mythologies. The turn-based strategy is good, but follows a rock-paper-scissor mechanic. If you like turn-based strategy and follow the Age of Empires franchise, then this portable DS game might be a good choice in terms of gameplay. There are very few RTS games for the Nintendo DS platform. Fortunately, the short list of DS real-time strategy games boasts some very good titles. Robocalypse is one of them, and with its humorous plot as well as a solid control system makes it a satisfying real-time strategy. With a familiar RTS structure, Robocalypse allows players to use their resources cleverly to build a formidable army and a base to defeat the rival faction. The intuitive controls take advantage of the DS’ touch screen and provide smooth controls for a fluid RTS gameplay. Robocalypse is about a bunch of mech warriors created to counter-attack a group of renegade robots whose sole intention is wipe out the human race from the face of the Earth. You will control a bunch of grunts and create new robots to defeat them. 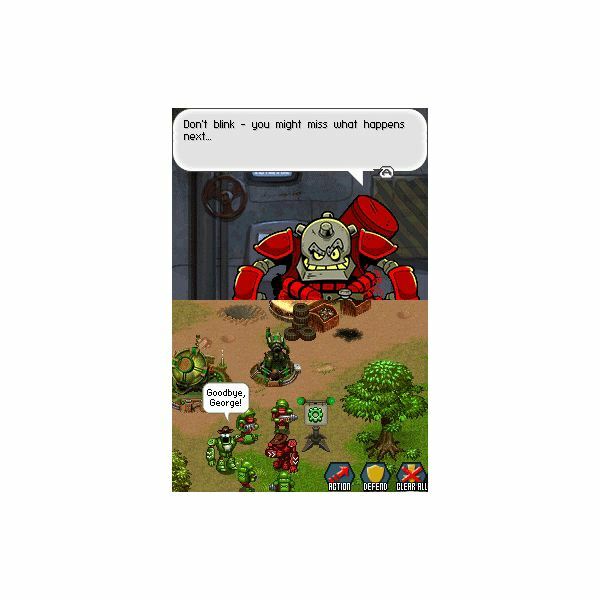 The RTS concept, together with humorous dialogues and a good storyline make Robocalypse one of the best Nintendo DS strategy games. This turn-based strategy game for the DS brings the acclaimed Sid Meier’s Civilization gameplay on to your Nintendo DS platform. Since the very first game, the Civilization series has offered hours and hours of sheer strategy and resource-management stuff to gamers. Civilization Revolution takes the series to new heights and lets you take charge of a historical civilization and dominate the world. You won’t find any difference with the PC version because the developers at Firaxis have offered everything on the DS cartridge, although players may notice some major exclusions in gameplay. Civilization Revolution for the DS has 16 playable civilizations, and each of them has unique characteristics, bonuses and powers. 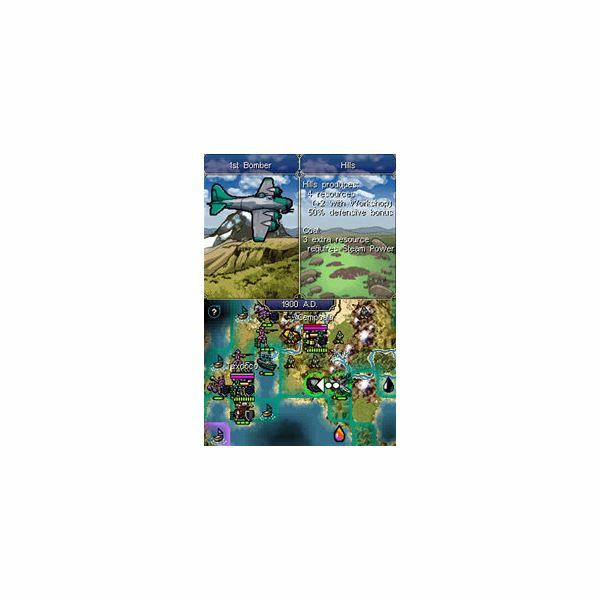 With four types of victory conditions and civilization-specific bonus, the game gives a satisfying turn-based strategy to all fans of the Civilization series. This turn-based strategy game features the most popular Dragon Quest superstars, including Golem, Hammerhood and Slime. It is not an exploration-based RPG, and heavily relies on turn-based combat mechanics. Players battle out enemies on a tiled table-top arena by choosing the best Dragon Quest characters. The Dragon Quest franchise is one of most popular console RPGs of all time. However, this game is more like chess than an exploration-based RPG with turn-based combat. The gameplay is reminiscent to Final Fantasy: Tactics, but combat takes place on a chessboard-like arena, which means this is more like a board game than a full-fledged strategy RPG. Still, the strategy involved is deep and quite interesting, making this one of the best turn-based Nintendo DS strategy games for the DSi platform. The title of the game may well seem like a hack-and-slash RPG, but Ninja Town is a solid strategy game with tower defense style of gameplay making it even more interesting and immersive. 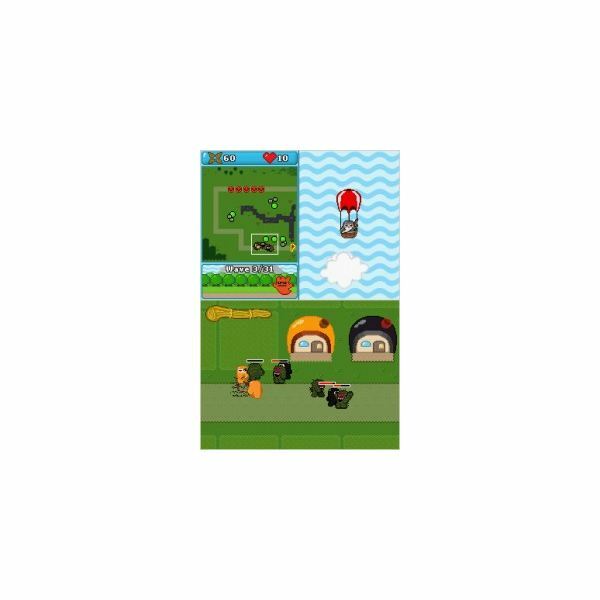 You control a bunch of cute ‘lil Ninjas to save the peaceful Ninjatown from demons, who attack in waves and leave no stone unturned to ensure your town gets destroyed. The typical tower defense gameplay mechanics works pretty well with this game. In each level, you will have new Ninja unit more powerful than the other (and of course the demons too will be more immune to slashing swords). Each Ninja unit will have special powers. You will have sniper ninjas and various other unit types to slow down waves of demons. Ninja Town also has a nice multiplayer mode that lets players defend their own town and whoever defeats each of waves of demons first is the winner. 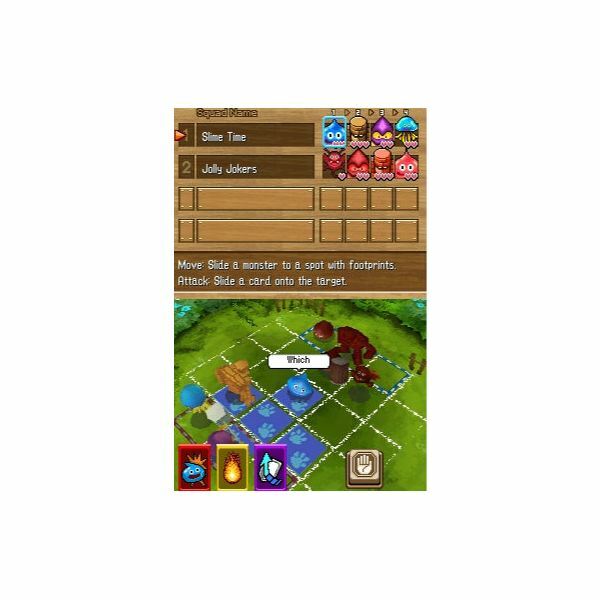 If you like TD games, then you must play Ninja Town as the gameplay is as slick and as addictive as any other PC tower defense games, plus you have a very unique plot and cartoon Ninjas to play against waves of attacking enemies. Heroes of Mana is another great real-time strategy game that exploits the touch-screen of Nintendo DS to give a satisfying RTS experience. Square Enix’s popular Mana franchise of role-playing games never had such a good tactical RPG with RTS gameplay similar to StarCraft and WarCraft. Using the DS’ touch-based system, Heroes of Mana lets players convene exotic monsters to fight alongside hero units against a group of enemies on a large battlefield. The story mode has several missions that allow you to control a small group of heroes or create units and structures using the Nightswan ship before battle. Players will also be able of unlock new units and monsters throughout different levels as well as get access to bonus missions and equipment to fight against enemies. Like other Nintendo DS strategy games, Heores of Mana's intuitive control system lets you create, maneuver and give attack commands directly using the stylus and the DS’s touch screen. Most Nintendo DS gamers are big fans of the Mana series and Heroes of Mana will definitely provide a good, solid gameplay experience even with the RPG replaced by a proper RTS for the DS platform. Shadow Dragon is the Nintendo DS version of first Fire Emblem game that was solely released for the gaming audience in Japan. In this game, players play the role of a young prince who embarks on a dangerous journey to eliminate the Shadow Dragon. While the plot is quite similar to most JRPGs, it is the gameplay that excels in every aspect, which is why this game makes it to the list of best Nintendo DS strategy games here at Brighthub. The strategic depth in gameplay provides numerous options to players to employ tactics and defeat enemies. With a top-down view, the game’s combat takes place in a huge tile-based battlefield filled with forests, hills and lakes that help gamers take good strategic decisions and place their units in the right terrain type to have a major advantage over their opponents. Fire Emblem: Shadow Dragon is a strategy RPG, but the game excels because of the depth in turn-based combat. With a rock-paper-scissors gameplay mechanic, the game provides several weapon choices and special attacks that aid in combat against tough, and intelligent, AI opponents. The first Final Fantasy Tactics game for the GBA handheld console was epic in every aspect. Its DS sequel takes the game a step ahead while inheriting many characteristics of the original, including the classic tile-based gameplay system and character recruitment and upgrades. There are a few additional features thrown in to add some more interest to the game. The plot is somewhat similar to the GBA game. A young boy magically gets transported to Ivalice after he reads an ancient book. The world of Ivalice holds many surprises for the young lad, including a clan that promises him to find a way back home. On his journey, he has to undertake a number of quests (around 400!) that range from simple quests that task him to fetch items to large missions that add a new twist to the story or unlock additional classes. The game has also added judges that spell out the rules for a particular turn-based battle, and failing to comply with the rules may land you in jail. The game makes good use of the DS touch screen, providing easy interface and smooth control over each unit. Overall, Grimoire of the Rift is an addictive and interesting turn-based strategy game from Square Enix. The Advance Wars franchise has produced some of the best turn-based strategy games for the GBA and Nintendo DS hand-held console systems. Players controlled cutesy cartoon soldiers armed with anti-tank rifles and assault weapons as well as an arsenal of land and air units to defeat rival factions. With a variety of terrain types to take advantage of, the game allowed players to plan their attack using a nifty turn-based strategy system. Almost all Advance Wars games have a lighter tone, but Days of Ruin replaces cartoony visuals and humorous dialogues with a rather morbid tone and great new visuals. Of course it retains the turn-based strategy gameplay with a few additions sprinkled here and there and an increased difficulty level, making it more fun and enjoyable than the previous Advance Wars title. The game has lengthy campaign missions both in single-player and multiplayer mode and the new graphics are more detailed animated and sharp. It also lets you create custom maps and upload them via the DS’ Wi-Fi connection and get them approved from players around the world. If you are a die-hard Advance Wars fan, then this game is a must-have for your Nintendo DS strategy games collection.